Hi. I'm new at this forum, so if I make any mistakes, do point them out. I've been playing Freeciv and trying out many rulesets for quite some time now. One problem I have noticed, however, is that they aren't particularly realistic. Yes, I have enjoyed the Freeciv games that I have played, but they aren't as reflective of the way things work in real life as I would have liked. To me, it's more of an idealistic way of imagining the way the world works. Hence, I have, in my free time, thought of several changes that could be incorporated into a new ruleset. Now, I am not a programmer, so I cannot actually make the ruleset myself. It will require tons of new sprites and a new tileset, which also I do not know how to make. In short, I am but a dreamer, with no tool but my dreams. Okay, enough of this nonsensical rambling. Here are the actual ideas. For the record, let me list the terrains present in the default (classical or whatever it should be called) ruleset. The classifications are simply to make it easier to understand. My first problem is with forests. THERE HAVE TO BE MORE OF THEM! 1. Boreal forest - This should be linked to Tundra, the way Forest is to Plains, or Jungle is to Grassland. Its value should be 1,2,1 (the extra Trade for furs). Can be irrigated to get Tundra. 2. Wetland forest - Can be irrigated to get Swamp. Value should be 1,1,0. Next, the value of unaltered Jungle is 1,1,0. It should be 1,1,1 (exotic stuff like, let's face it, fur. Temperate Forest simply cannot compare.). With the advent of a technology (let's say Industrialization, though it should probably be something else), production should be increased by one (because of rubber), to get 1,2,1. Next, with the advent of a technology like, say, Industrialization, the productive capacity of Deserts should go up by 1 or 2. This means that after Industrialization, Desert would go from 0,1,0 to 0,2,0 or 0,3,0. This because of the obvious importance of oil to the modern world. All water terrain shouldn't get the production bonus with Miniaturization and Offshore Platform. The bonus should be restricted to Ocean and Deep Ocean, and that too should require Engineers to mine the Ocean|Deep Ocean tiles (all of them). By natural terrain alterations I mean rivers. All of the major cities of the world are near either a river or some other major water body (usually the former). London, Paris, Moscow, Frankfurt, Vienna, Istanbul, Rome, Tokyo, Shanghai, Singapore, Jakarta, Sydney, Melbourne, Delhi, Kolkata, Mumbai, Dhaka, Dubai, Cairo, Alexandria, New York, Washington, Los Angeles, Quebec, Montreal, Toronto, Sao Paulo, Rio de Janeiro, Buenos Aires, you name it, it's near a river, big lake or the great wide ocean. While the ocean part is taken care of by Harbours, Offshore Platforms and the +2 Trade, rivers are just a source of water for irrigation and give +1 Trade. That's it! Therefore, I aim to rectify that by introducing the Three Rivers! 2. Medium river - Here's where the fun begins. Can pass through all terrain except water and hilly terrain. Grants +2 Trade and +1 Food. Allows Triremes and early Ironclads. 3. Big river - Can pass through all terrain except water and hilly terrain. Grants +3 Trade and +2 Food. Allows all ships. This basically means that riverine cities will become extremely important centres of population and trade, as they should be. Imagine Plains tile with Wheat. That's 3 food. With a big river, it is 5 food and 3 trade. Irrigate and road it to get 6 food and 4 trade. With farmland, it is a whopping 9 food and 4 trade. That is enough food for 4 citizens right there! If anyone wishes to crunch the numbers, feel free to do so and post the results. Do remember, I love feedback. If you have any problems with my plan, do post about it and I will justify my plans with my reasoning. Of course, if I feel that you, the general audience who play Freeciv, are right, then I shall not hesitate in incorporating your ideas into the plan. The whole point of this is so that those who are proficient in making rulesets and tile sets notice this, decide that it is a worthy plan and bring this dream into reality. I shall be extremely thankful to anyone who helps in this project. They will be listed as the main contributors because, well, all I've done is tell others my idea. Also, I may or may not be borrowing ideas from other rulesets, sometimes intentionally but sometimes unknowingly. If you feel that I have borrowed ideas or concepts from someone else's ruleset, tell me and I shall credit them as well. Here our concern is with irrigation, mining and roads. Mining, Oil Wells, Lumber and Offshore Platforms - Mines can be built on Hills, Mountains, Tundras and Deserts. Adds +3 Production to Hills and Mountains, +2 Production to Tundras and +1 Production to Deserts. Oil Wells can be built on Deserts with Industrialization and on Ice caps with Refining. Adds +1 Production to both. Lumber can be built on all forest terrain and adds +1 Production. Offshore Platforms can be built on Ocean and Deep Ocean to add +1 Production. Roads, Railroads and Maglev - In my opinion, infinite movement on Railroads is completely unrealistic. Imagine a Great War scenario. Germany builds tons of troops in the Rhineland. Because of railroads, it would take one turn to go from Cologne to Moscow and attack it. Granted, one turn is a year, but it still seems unrealistic. Roads give +1 Trade and allow a unit with one movement point to traverse two tiles. Railroads give +50% Production to any tile that produces more than 2 Production points without Railroad and allow a unit with one movement point to traverse eight tiles. Maglev only allows infinite movement and will be available with, say Superconductors? I don't know. Last edited by Bronze on Tue Feb 12, 2019 12:23 pm, edited 1 time in total. Now our concern is with Canals. Imagine a narrow 2-tile isthmus that you want ships to be able to get across. In most rulesets, you would have to convert at least one tile to Ocean, which is, frankly, ridiculous. Hence, Canals. 1. Small Canals - Require Construction (or Engineering-take your pick). Can only be built on 'plain' terrain, forest terrain or Hills. Allow Triremes and Ironclads. Gives +1 Trade and is a source of irrigation. 2. Large Canals - Require Explosives and Small Canal already built. Can be built on 'plain' terrain or forest terrain. Allow all types of ships. Gives +2 Trade and +1 Food and is a source of irrigation. Canals cannot be built on water tiles or river tiles. Of course, Roads can be built over them once Bridge Building is known. I think a lone Worker should take 20 turns to build Small Canal and 40 turns to build Big Canal. Small Canals can only be built on a tile cardinally or diagonally adjacent to Ocean, Lake, River, another Small Canal or a Big Canal. Big Canals can only be built on a tile cardinally or diagonally adjacent to Ocean, Lake, River or another Big Canal. Just to spice things up, I think units shouldn't apply ZOC to tiles with Big Canal (Suez Canal is a good real-life example). However, cities and fortresses do apply ZOC to Big Canals. So, if you want to stop non-allied units from being able to use your grand Big Canal, either start a city on or right next to the endpoints of the Canal, build fortresses on or right next to the endpoints or simply move a unit ON the endpoints. Most important for good game is not a relation to reality, but playability. 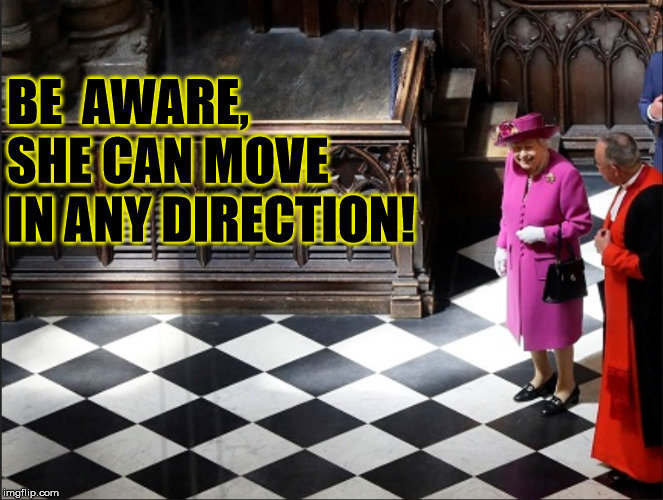 Chess is very little related to reality - or maybe not? but is a very interesting game. Every units, tiles etc are just game entities which have own purpose. I don't see need to add boreal forests just because they are. Existing tiles and their transform relations are enough complicated when you cope with climate changes. Same with river. A given level of abstraction must be maintained, to keep game clear, there is a river or not, without checking if such river is 1 or 2 pixel wide. If talking your other ideas, some of them are already implemented in some rulesets, for example try civ2civ3 or experimental - railroads and maglevs works here as you proposed. Channels are implemented in my ruleset, see augmented2 (work in progress), but again not just because they look fancy, but because it is not possible to go diagonally in hexagonal topology. I see your point - I enjoy chess myself, but in my mind, chess was always an abstraction of war. Freeciv, on the other hand, was, to me, a representation of reality. Not a perfect mirror, by any means, but yet a representation. It's why I took a liking to it in the first place. Your argument about playability is sound - after all, how and why would anyone play a game so complex that it overloads the mind and simply becomes unplayable - but one must be careful when reducing the complexity of the real world into the few, simple, unbreakable (until someone inevitably discovers a glitch, bug or cheat) rules of a game. In my opinion, the default ruleset is too abstracted to represent the confusingly complex reality of the world. Other rulesets, like experimental, civ2civ3 and civ2civ3 earth (I'm afraid I haven't played augmented2, sorry!) do make valiant attempts (I especially liked varying city radius and the new specials), but they still fall short of my expectations. At this point, to me at least, Freeciv games have become repetitive, and I think mixing in some more touches of real life will make for an excellent bhelpuri (it's a very tasty Indian street food dish - do try some whenever you can). I'm not trying to make a ruleset so complicated that only computers can play it with any chances of winning. Terrain transformations in my ruleset, in particular, are very very restrictive for most of the game till, like Nuclear Fusion. Next, rivers in Freeciv are tiny! In my opinion, it wouldn't be very difficult for the average player to distinguish between the three types of rivers, given a good tileset designer. The three river system is very important, because it is reflective of the human tendency to settle in river valleys, where there is flat, fertile land and water and trade from rivers. The food bonus is because land near rivers is obviously more fertile than land away from rivers (in general). My argument on forests will come tomorrow because it is almost eleven pm now. Good night, morning, afternoon and evening! Hello. I completely share your preference toward Civ being a simulation of reality and tweaking rules in this direction. I'm trying to develop a "Simulation" branch of ruleset(s) and it is occasionally played in the Longturn community. The first "Simulation" game just ended, but the ruleset was full of bugs and I plan to fix those for the next game starting in a few months. You can learn about the ruleset somewhere on this forum, check under "Rulesets and modpacks". Anyway, yes, in my view, realism is the first priority and, if done right, playability (the first priority for many others) will not fall behind. However, compromises need to be made because, first and foremost, this game, and any game, is an approximation of reality. And when doing an approximation, you need to simply neglect stuff. And when approximating Full Reality into a square turn-based computer game, you have to neglect A LOT. So, as in some other areas, deciding what to neglect and what to emphasize is the key. I don't know if you played Civ 1. I think that, MAYBE apart from Freeciv, it is the version I used most time on. Once I got on Civ 2, I literally knew every aspect of the game. Among other things, I had a non-cracked version and when the Tech test came, I could solve it without checking the manual. When Civ 2 appeared, it offered more types of units, more types of terrain and stuff, but, in the end, it was the same game. What it didn't offer was something fundamentally new, only more of the same. Don't get me wrong, it wasn't bad (or all bad) and a good thing is, when it got translated into Freciv, it created a base for much more creativity and endless possibilities. And maybe Civ 2 made that one and necessary step toward adding more complexity within the same framework that the Civ 1/2 engine allowed. However, when talking about adding new types of units and terrain, I believe Civ 2 - and, consequently, Freeciv - has reached its ceiling. The step from Rough Approximation (Civ 1) to Moderately Detailed Approximation (Civ 2) made the game noticeably better. However, I'm not sure going into more detail - that is, un-neglecting more stuff from Full Reality - would yield a significant improvement. It would make things more complicated, but not necessarily better. Simply, have a look at the mechanics of it all. The final effect of the terrain is simply to provide three types of resources: Food, Shields and Trade. Well, there is a very limited number of meaningfully different combinations you can achieve with that. I definitely agree: having boreal forest may be a nice added touch, but in the end, what would it amount to? Not much, I'm afraid. Don't get me wrong, there is definitely no harm in adding it; if somebody makes a ruleset with changes like that, it wouldn't make the game any worse. But I simply think it doesn't add to the game enough to justify time spent on working on it. And, for the record, you mentioned Wetland, as opposed to Jungle. The ruleset I just checked has Wetland that irrigates to Swamp, and Swamp irrigates to Grassland. So, various combinations already exist. but you need to have a reason for them and define a way how they make the game more different. What might work is if you do this along with a complete idea rehaul and make it some sort of scenario game, where colonists are working through huge forests and where the scale is smaller. But it needs to be thought-through a bit more. I think Oil(desert) should provide also gold. Oil is used in automobile. About canals... This feature would be provided by Civ6: Gathering Storm. Are you inspired by this DLC to Civ6, aren't you? I know Firaxis uses ideas from this forum, like districts, homeless people, epoch score (proud points? ), etc. Why we should do the same? Couldn't we have an better ideas?